The Salon - Whether you are looking for that perfect new hairstyle or need help with your skin care, we dedicate ourselves to providing high quality services in a comfortable and relaxed setting. Spend an hour or the day in pure relaxation & treat yourself to the many services we offer. We will provide you with just the experience you need. We are pleased to have this moment to introduce you to our vast array of salon services. Now, take a deep breath…it’s time to relax and allow us to indulge and pamper you. ​Hair Styling - Experience a specialized combination of styling options that will perfectly transform your body and spirit. Our first-class service includes today's most advanced coloring and hair management techniques. Our staff is highly trained in the most up-to-date styles, products and techniques. 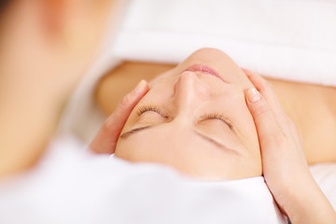 Skin Care - Enjoy the gentle caress of our highly trained facial specialist as your skin is brought to its full beauty. Tensions fade as rich, aromatic scents engulf you, relieving your body and mind of reality’s stresses. If your skin needs special care, we can create a custom facial customized for your type of skin. At Sasee, we love to take special care of our clients! Refresh and balance your skin with the basics: a thorough cleansing, exfoliation, enzyme steam, essential oils and a mask…we will customize your treatment based on your individual needs and concerns. Hair styling is an art, Our stylists give a personalized approach to hair styling. We are experts at reading your head shape, hair growth patterns and texture, as well as matching your cut and color to your personal style.